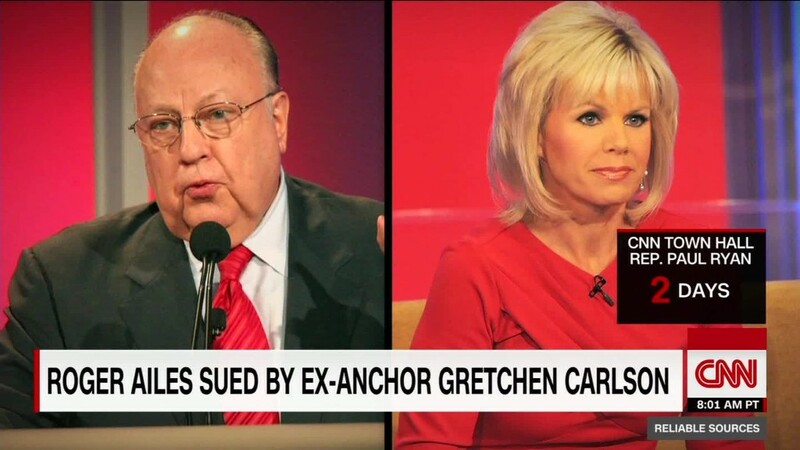 When Gretchen Carlson accused Fox News chief Roger Ailes of sexual harassment, Ailes' lawyers responded by accusing her of waging a "shameless publicity campaign." But if the Ailes-Carlson case is for now being tried in the court of public opinion, Ailes' own employees have been offering a robust defense. To date, more than a dozen current and former Fox News employees -- most of them women -- have come forward to defend their boss and praise his character. Even presumptive Republican presidential nominee Donald Trump has spoken out on Ailes' behalf. These statements contrast claims by Carlson and six other women who have alleged that Ailes sexually harassed them. Carlson's team says the claims of Ailes' defenders are immaterial. "It just means they didn't witness anything," Allan Ripp, a principal at Ripp Media & Public Relations, the PR firm handling Carlson's case, told CNNMoney. "Gretchen's lawyers will say they weren't in the room... and if Ailes is so convinced that he's got an army of support, then he should welcome a public hearing to defend himself." Instead, Ailes has filed a motion to move the case to arbitration. A judge is scheduled to rule on that motion on August 1. Until then, the statements from current and former Fox News stars like Bill O'Reilly, Elisabeth Hasselbeck, Maria Bartiromo and Greta Van Susteren have provided Ailes with a public rebuttal to the accusations.